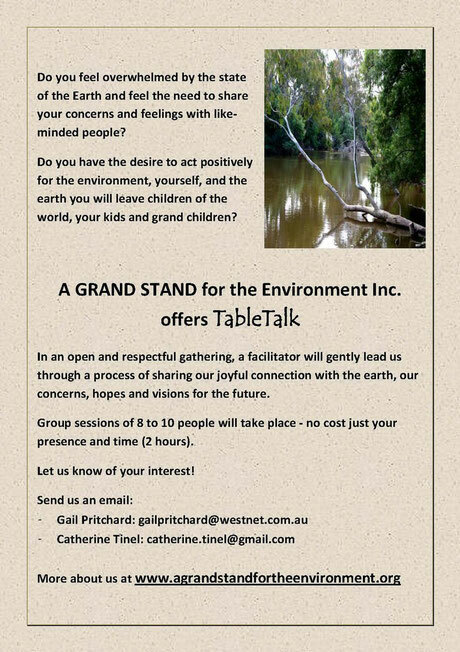 Upcoming TableTalk - agrandstandfortheenvironm's JimdoPage! Following up on the "Home' movie showing in Manningham Council as part of the Better Living Program, we are offering a TableTalk. Details on flyer.